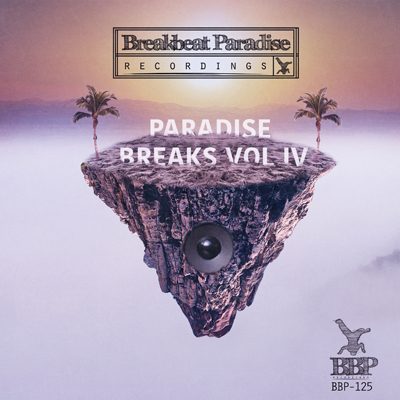 Its been 3 years since the release of the last paradise breaks volume – and boy do we have something to show you! At the same time, we are celebrating the 10th anniversary of the label, and is there a better way to celebrate that but to release 15 golden tracks as hot as these? For all of you who are new to the scene, all you have to do is pick up this compilation and you are up to date with what’s been going over for the last 3 years. And for all our beloved fans and followers, whom we are sure will be delighted to have all these classic tunes collected in one place. This time it’s not all just previous released tunes, as we have a fresh new 2016 version of WBBL’s remix of BadboE’s Ghetto Funkalicious to kick off the compilation. This tune has already been turning a lot of heads in the scene and sets the stage for the other ghetto funk tunes such as, DJ Rudd’s Like Jello, J-Sound’s On and On, Tom Drummond’s Thick Shake, Arteo’s Nobody Else ∫and Kool Hertz’s Whatta Joint remixed by BadboE. For the funk-loving b-boy rockers we got tunes like Timothy Wisdom’s Bad Mother, Morlack’s Chinchilla, Laptop Funkers’ Soul Feel Free, Mako & The Hawk’s Party Going On & Breakbeat Junkie vs DJP’s Represent the Style. Original cuts includes BadboE’s Hit It Mastro remixed by Jpod, ElectroGorilla’s Say My Name and Roast Beatz’ Boombox featuring Dr Syntax. Before ending things with the drum n bass anthm by PhonoMatt & Tommy Boy called 5 O Clock remixed by The Captain. Another living proof that the funky breaks and ghetto beats is still very much alive – and by now you know where to go to get the very best of it…right here on Breakbeat Paradise Recordings!